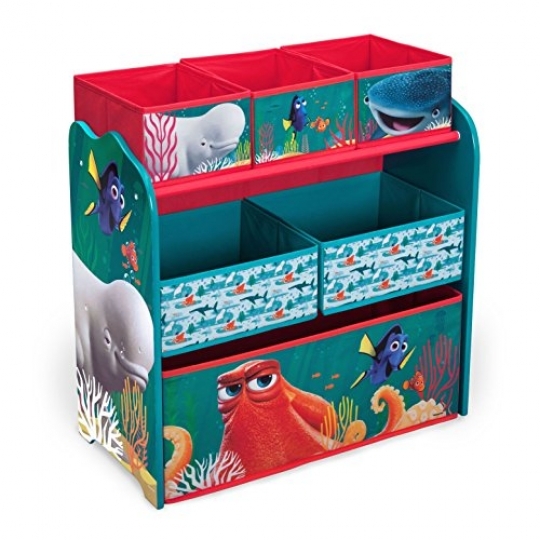 Your child may be forgetful, but they'll never forget to straighten up with this Disney/Pixar Finding Dory Multi-Bin Toy Organizer from Delta Children. Built to withstand whatever kids throw its way, this storage piece features six uniquely sized fabric bins supported by a sturdy frame. Finished with colorful graphics of Dory, Nemo, Hank, Bailey and Destiny, it allows Finding Dory fans to relive the heartwarming adventure each time they dive into cleaning up.